The day of US-Israeli hegemony in the Middle East may well be drawing to a close. The United Nations decided not to wait for Uncle Sam to broker a deal before declaring Palestine a nation state, and the Organisation of Islamic Cooperation (OIC) and its member states seem ready to take the initiative in seeing the Israel-Palestine impasse resolved. The role of Egypt’s President Morsi has been crucial in recent months – visiting Gaza and now hosting the OIC meeting – and now Bangladesh has joined the chorus, demanding full statehood for Palestine. Of course both Obama and Kerry are putting a renewed effort into restating their ‘peace process’ but have they left their run too late? Tags: israel and palestine, israeli settlements, palestinian occupation. Filed under Israel and Palestine, israel and palestine conflict, map of israel and palestine by Father Dave on Feb 10th, 2013. Comment. U.S. blocks attempts to push joint presidential statement and resolution condemning construction in the West Bank and East Jerusalem; In addition to thousands of new housing units, a new highway is being built that will cut the southern Jerusalem neighborhood of Beit Safafa in two. Fourteen members of the UN Security Council on Wednesday condemned Israel for advancing construction plans in the West Bank and East Jerusalem. The council’s European Union members issued a statement saying these plans undermine their faith in Israel’s willingness to negotiate. 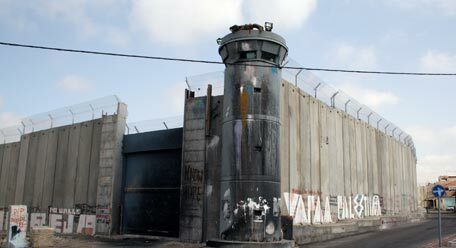 Tags: east jerusalem, father roy, israel and palestine conflict, israeli settlements. Palestine may take Israel to the International Criminal Court! And now we see what the Palestinian UN vote was all about – ‘lawfare’! Prior to the UN vote some of Abbas’ critics were questioning whether it was worth the effort to upgrade Palestine’s status within an organisation that is dominated by the super-powers on the Security Council anyway. This latest development seems to answer the question. Palestine’s new UN status opens up new legal avenues for Palestinian leaders whereby they can take their oppressors to court! Of course court decisions are likely to prove ineffectual too without the support of the same super-powers, so it remains to be seen whether Palestine’s new UN status will really amount to much! Palestinian officials hint they will go to ICC over Israel’s latest settlement plan. Since Palestine’s UN upgrade two weeks ago, events and rhetoric appear to be on steroids, moving at a swift pace. Palestinian President Mahmoud Abbas, speaking at a press conference in Ankara with Turkish President Abdullah Gü Wednesday, said he would take legal action against Israel should it make efforts to colonize E1, a portion of land east of Jerusalem. “His country is coordinating with Turkey to develop a legal strategy,” according to Turkish daily Today’s Zaman. Palestine’s Foreign Minister Riad Malki also dangled threats of a strong response if Israel proceeded ahead with its latest colonization scheme and said Palestine’s next move would be to request membership at the International Criminal Court. The Palestinian Authority Wednesday repeated threats to file charges against Israel with the International Criminal Court [ICC] over plans to build housing units in E1, on the eastern outskirts of Jerusalem. PA Foreign Minister Riad Malki said that the Palestinians’ next move would be to request membership in the ICC……. Palestinian President Mahmoud Abbas on Wednesday said his country is coordinating with Turkey to develop a legal strategy for the newly recognized UN-observer state of Palestine to challenge Israel’s increased settlement activity in the Occupied Territories, especially against those that will cut off East Jerusalem from the West Bank. “We have come to an agreement with the Turkish government on two points: One is to establish close coordination with Turkish permanent representation at the UN with our UN representation in New York and the other is to have Turkish Foreign Ministry experts provide legal counsel to our side,” he told a group of reporters in Ankara. According to Today’s Zaman, Abbas has been discussing possible financial assistance with Turkish Prime Minister Erdoğan– probably to prop up the PA since Israel’s cutting off their funds for the next four months, or so it threatens. “We acquired many rights when we were recognized as a non-member state by the UN. But in fact we will not eagerly consult international courts if Israel agrees to and complies with a peace agreement,” Abbas maintained. Abbas also said he discussed monetary assistance to Palestine with Erdoğan, whom he described as very sympathetic to the Palestinian cause. “He knew all the details about Palestine and we have discussed ways to help Palestine in the face of punitive sanctions by Israel and the US,” he explained. He recalled that the Arab League has set up a monitoring committee headed by Qatar on what assistance would be provided to Palestine in case funds were cut off by Israel and the US in the wake of recognition at the UN Assembly. 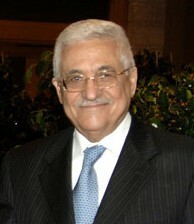 He also underlined that his government puts a priority on reconciliation among Palestinian groups. “Khaled Meshaal called me half an hour before I arrived [in Turkey] and we discussed reconciliation steps,” he revealed during the meeting. He said Hamas is ready to pursue talks with the PA under Egyptian mediation after the group’s ongoing internal elections. By the way, Turkey pulled out the red carpet for Abbas. Literally, brass horns and all. (video!). Israel must be fuming. Tags: israel and palestine, israeli settlements, palestinian authority, palestinian leaders. Filed under Israel and Palestine, israel and palestine articles, israel and palestine conflict, map of israel and palestine by Father Dave on Dec 16th, 2012. Comment.